We’re delighted to introduce our exclusive Leightons contact lenses: Prima, the world's first family of silicone hydrogel daily disposable contact lenses. At Leightons, we value the importance of the small details. From our people, to our suppliers and everything in between, we aspire for nothing less than the best. That’s why our own brand of contact lenses, Prima, have been designed as a healthy, comfortable and convenient way to correct your vision. 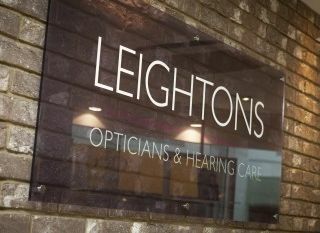 When you come to Leightons, you can expect high quality and clinical expertise behind all our brands. We’ve put our name behind Prima contact lenses because they achieve the high standards we strive for. Keep your eyes white and healthy: Contact lenses are made with the purpose to be discreet and convenient. Prima’s super-breathable silicone hydrogel keeps this lens smooth and ultra-flexible, so it can fit comfortably to your eye without you even noticing it’s there. Designed for the day ahead: Prima contact lenses allow more oxygen to get to your eyes than other branded lenses, keeping your eyes healthy and white and letting you wear them all day. On top of this, Prima contact lenses have a UV filter to help protect against the damage UV rays can cause to your eyes. Tailored to you: There are no limits on who can wear contact lenses. Prima lenses are available for those with astigmatism, long-sightedness and short-sightedness. There’s even a selection of multifocal and bifocal lenses to choose from. You don’t have to take our word for it – we offer a free contact lens trial so you can find out what works for you. In-store contact lens specialists will help you select the Prima lenses that will fit best with your individual needs and lifestyle. If you love them as much as we think you will, there’s even an easy Direct Debit delivery system, so you don’t have to think twice about reaching for your next set of daily lenses. 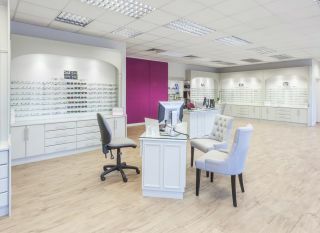 Book an appointment online to see how Prima lenses can help you, call us on 0800 40 20 20 or pop into your nearest branch.